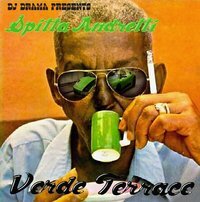 Digging through the prodigious amount of material he’s produced in the last three years (currently eighteen albums/mixtapes and counting), the odd duck in Curren$y’s catalogue tends to be this one, Covert Coup. Like a military uniform in a closet full of velour suits, out it sticks, remaining his only release that doesn’t suggest the couch and the video games but instead some active, violent participation. 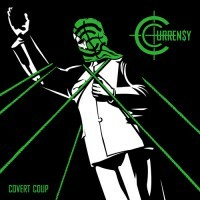 Just looking at the two alternate covers of the album—the one Wikipedia uses depicting a fallen statue of Joseph Stalin, and the one Curren$y has on his bandcamp which I call the Metal Gear Solid one—or hearing the name Covert Coup give a strong indication that this is a much different affair than the egg chairs and ‘80s comedy movie references characterizing the rest of his work. This partnership’s potential is in full bloom on “Full Metal,” an ending which leaves one hoping this isn’t a one-off duo (luckily, no: Re-Conversionalize supposedly comes out next 4/20). 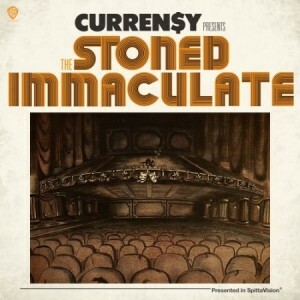 Over a bed of violin crests and gunshots Curren$y stomps, mayhem at his side, dropping lines like “Cake all layerish, playa all Himalayerish”; as the director offscreen the Alchemist intensifies the storm, setting off explosions like Michael Bay. 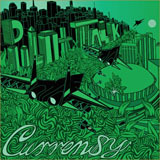 And in these tumultuous situations he creates—if Ghostface and/or Raekwon don’t tap the RZA for their next solo albums, the Alchemist should be their first options—it’s surprising just how well Curren$y handles himself, this guy known for video games and couches. He may come off as lazy—though with the bounty of his output, that’s a hard sell—but you’d be crazy to call him soft.